If you are considering transferring money from one country to another, you may want to rethink your options when it comes to traditional banks. Banks were considered the de facto option for money transfer services. Unfortunately, their services come at a hefty premium. Consider for example that major US banks like Bank of America, Wells Fargo Corporation, Citibank, and Chase routinely levy high fees for incoming and outgoing international wire transfers. If we use the UK and the US as examples in point, money being transferred from the UK to the US needs to be converted into USD and then deposited into the US bank. Every time money moves in one direction, additional exchange rate fees are tacked on. It seems disingenuous that in a global economy as developed as ours, the banking system still harkens back to an inefficient organization that can certainly do with an upgrade. The cost of international money transfers via banks is not only high for people in Europe and the Americas, it’s universal. Even South Africans are subject to extortionary international money transfer fees, and once again it’s the banks who are front and center driving up their profits. The cost of settling accounts from abroad is prohibitive if you go the traditional bank route. According to certain studies, UK customers pay on average £300 million per annum in bank fees and related charges for international currency transfers. Why then do people defer to banks when they know they are being fleeced? The answer is straightforward. People trusted brick and mortar banks more than they trusted online money transfer services. Fortunately, times are changing and banks have lost much of the luster they once had as leading currency transfer services. Over time, international money transfer companies have gained in popularity, and people are choosing them over banks. Thanks to licensing and regulation by internationally accredited institutions and organizations such as the FCA and FinCen, money transfer companies have the credibility and backing they need to operate efficiently. 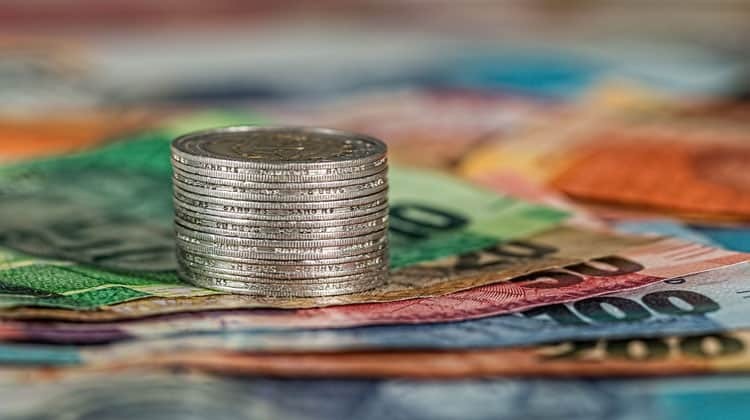 Consider for example that many UK banks charge as much as £30 for funds transfers, while banks in South Africa can charge upwards of R500 for receipt of incoming international transfers. These fees eat into the cash value of your funds, effectively draining your resources. Credible international money transfer companies charge significantly less than banks with transfer amounts in the region of £1,000 +. Reputable money transfer companies can put more of your money in your pocket overseas than banks. This is especially notable with large international transfers, but it is equally evident with smaller transfer amounts. It’s important to shop around for the best money transfer company. There are many benefits to choosing credible international money transfer companies, including low fees and commissions, better foreign exchange rates, and optimized payments. Remember that High Street banks quote rates that you don’t receive when you make the international transfer. International Forex providers can offer you the most competitive real-time rates with minimal spreads. With the banks, it’s difficult to know what rate you are going to receive since there is volatility in FX trading markets with banks. Many of the leading international money transfer service companies will work with clients to ensure that the best rates are locked in. With a High Street bank, you can pay $50/€30/£25 per transfer, but with an international payment company there are typically no outbound or inbound wire fees. Wholesale rates with international payment companies range between 0.3% – 2.5%, but with banks there are 5% margins on exotic currencies, and 3% on standard currency pairs. These numbers can add up to $50,000 saved when you avoid banks, especially when bigger money transfers are made. For small and medium businesses, expatriates and overseas property buyers, the traditional banking route is a no-go option. At the end of the day, you have to do your homework in order to save the most money. Don’t just keep doing the same things you’ve always done. Many times these older ways of doing business cost more. Thanks to technology, you can do many things more efficiently and for less money. The banking system is a perfect example of this. It might take you a little extra time at first to figure out how you can save money by doing something a different way, but the money you save will be more than worth the effort.